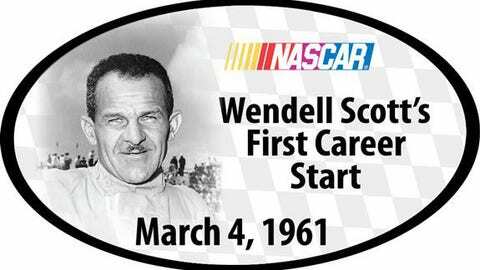 Every car competing this weekend at Phoenix International Raceway will carry this sticker honoring Wendell Scott's first career start. While Black History Month was celebrated in the month of February, NASCAR is honoring racing pioneer Wendell Scott this weekend at Phoenix International Raceway. Scott, the only African-American to win a NASCAR Sprint Cup Series race, made his first career start on March 4, 1961. Each of the cars participating in the NASCAR K&N Pro Series West, NASCAR Mexico Toyota Series, Nationwide Series and Sprint Cup Series will carry the commemorative sticker on the B-post or C-post. Scott was an independent owner-driver that not only fought the competition, but also racial barriers in NASCAR. His lone win came on December 1, 1963 in Jacksonville, Fla., and the win was certainly not without controversy. While Darrell Wallace Jr. became the second African-American driver to win in NASCAR last season, his win was in the Camping World Truck Series. Scott remains the only African-American to win a Sprint Cup Series race in the history of NASCAR. 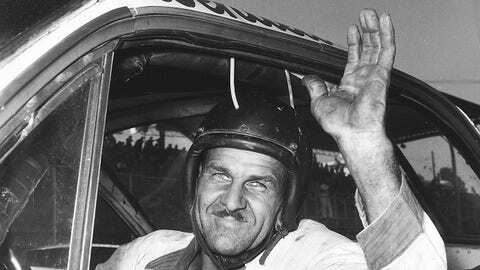 JACKSONVILLE, FL – DEC. 1: Wendell Scott won only one NASCAR Grand National race during his 40-plus year career. His lone victory came in the 200-mile event at Jacksonville Speedway in Jacksonville, Fla. on Dec. 1, 1963.